Place a drain pan below the vehicle. To prevent damage to oil filter cap ensure proper tool is used. Do not use an open end wrench which may cause damage to filter cap. Using a 24mm socket or closed end wrench loosen oil filter cap. Unscrew filter cap 3 turns and let oil filter and cap assembly drain in housing for 30 seconds. Use care when removing engine oil filter cap and filter to minimize fluid spillage. If fluid spillage occurs it must be cleaned with appropriate cleaner. Inspect oil filter cap for any cracks or damage. If oil filter cap is damaged it must be replaced. 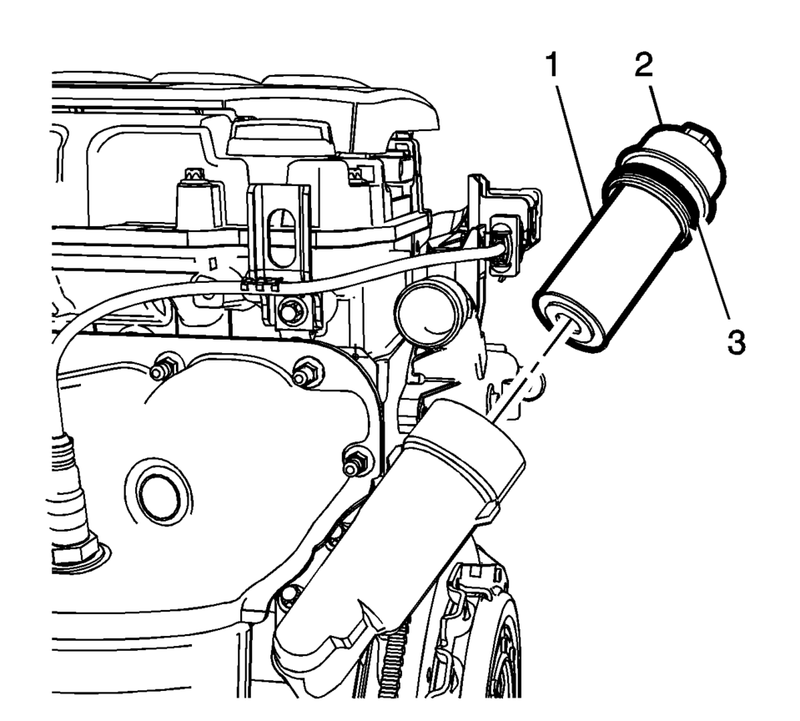 Remove the engine oil filter cap (2) with the engine oil filter cap seal ring (3) and the oil filter element (1). Remove the oil pan drain plug and allow the oil to drain into the drain pan. Clean the oil pan drain plug thread in the oil pan. Install a NEW seal ring to the oil pan drain plug. 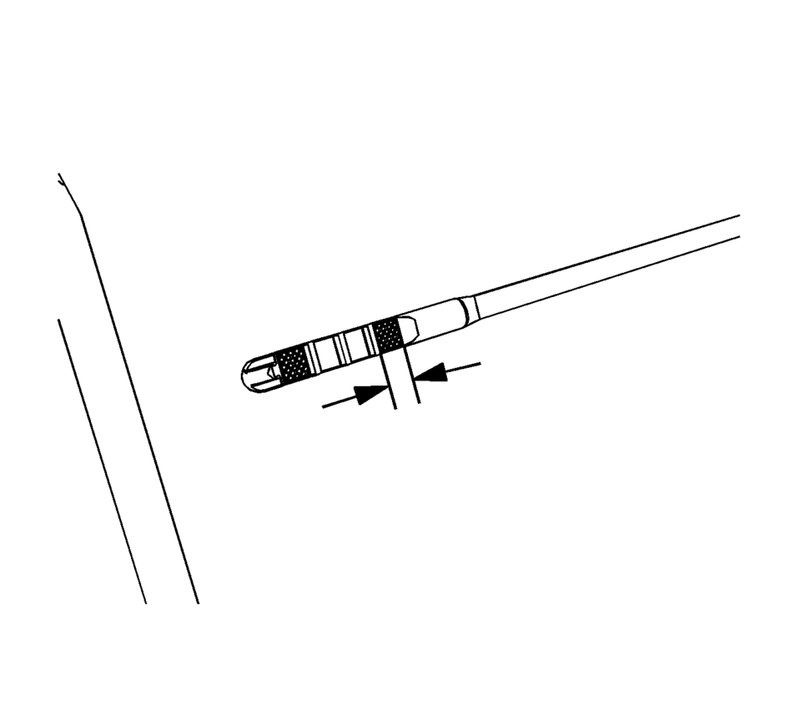 Refer to Component Fastener Tightening Caution. Clean oil filter cap and lubricate the NEW oil filter cap seal ring with clean engine oil. 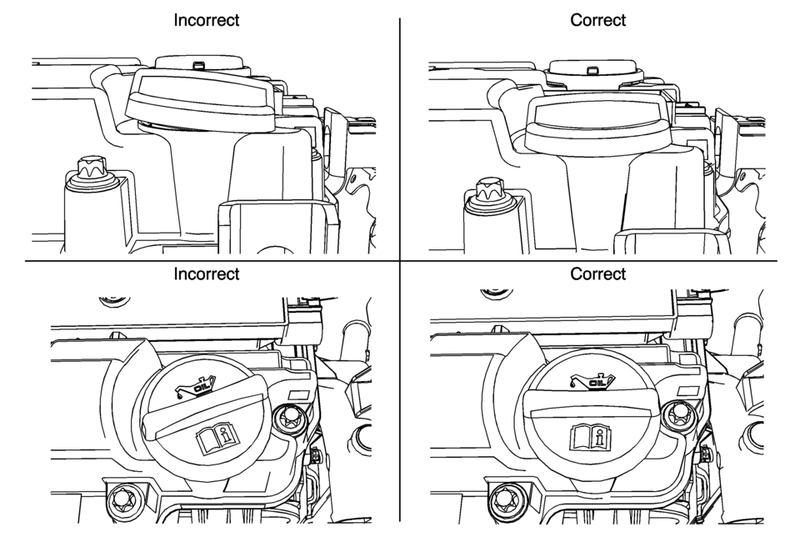 Ensure oil filter cap seal ring is in proper position as shown. Install a NEW oil filter cap seal ring (1). Install the engine oil filter cap (2) with NEW engine oil filter cap seal ring (3) and NEW oil filter element (1) hand tight. Ensure oil filter cap is completely seated on oil filter housing. If not completely seated an oil leak may occur. Over torquing the oil filter cap may cause damage to the oil filter cap resulting in an oil leak. Using engine oils of any viscosity other than those viscosities recommended could result in engine damage. Do not overfill the engine with engine oil. Anytime engine oil is added (top off or oil changes) ensure all engine surfaces are completely free of residual oil. If there is oil on any engine surface clean as necessary. Fill engine with NEW oil using Dexos?E 5W-30 specification. 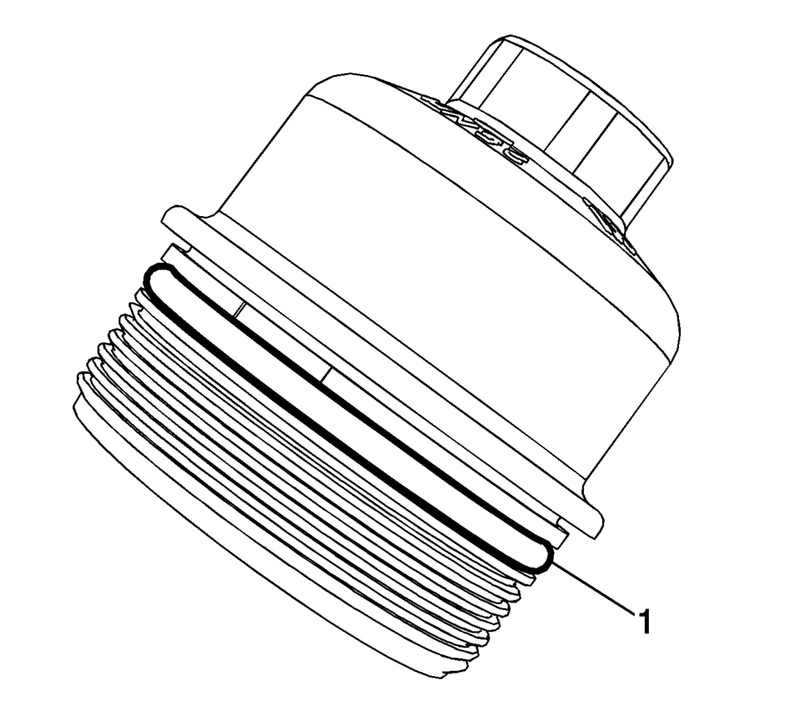 Oil fill cap must be properly seated and tightened during installation. Start the engine and allow it to run until the oil pressure control indicator goes off. Inspect for any oil leaks around the drain plug, oil filter and oil fill cap. Inspect the engine oil level. The oil level should be in the cross-hatched section of the oil level indicator as shown. Reset the engine oil life system monitor.